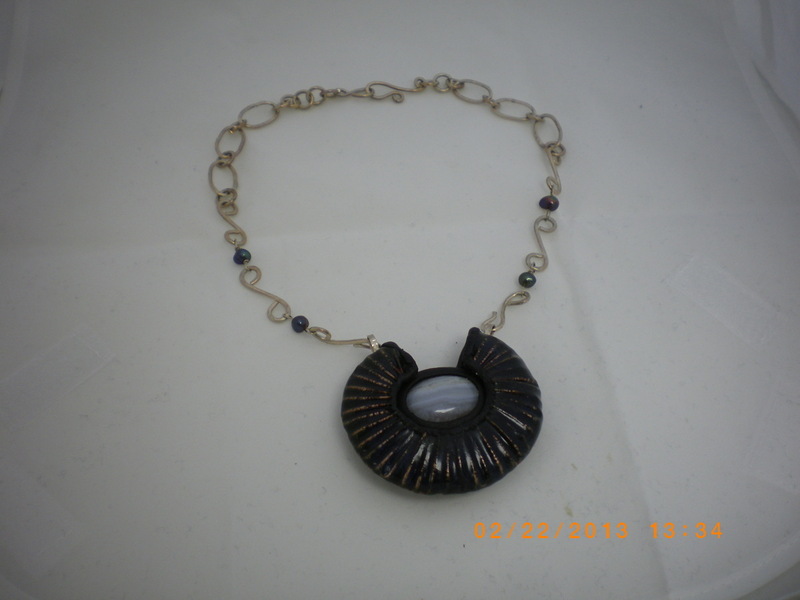 This is a hand forged hollow copper shell enameled in dark navy blue surrounding a chalcedony cabochon stone, set with black epoxy, and hung on a hand made scrolled sterling silver chain, with four blue beads. The shell shape measures about 3 inches wide. Overall length of necklace is about 18-20 inches. This is a unique piece, wearable art that you won't see anywhere else.